It was 2013 when Ashley Cummins and Stephanie Alba were training partners on a regular basis. On Saturday, the two will meet in Kansas City in an antomweight fight as part of Invicta FC 27. Alba (3-1-1) left Missouri many moons ago, and Cummins (5-4) has found a new home gym but the days of being teammates are still in the memory bank. "That was a long time ago, like four or five years ago, and I have gotten a lot better since then, and I know she has gotten a lot better since then, and we're different fighters now," Cummins said. "I know we have both been working hard and we're ready to showcase our skills. Originally I asked Invicta that I wanted to be on the card and I wanted to fight someone in the top 15. They came back later with Stephanie's name, and that was not necessarily the first name to pop up in my mind when I wanted a fight, but at the end of the day, I will fight anyone. I used to train with Stephanie and I know she is a tough, game opponent, so I was like alright, let's do this. She's well-rounded from what I remember, and I think we're going to show why 105 is one of the most exciting weight classes for women." In April's Combate Americas 13, Alba had lost a unanimous decision to Alesha Zappitella, a rising star in the division, but Zappitella failed a drug test due to marijuana, and the bout was ruled a no contest. Alba started her career 3-0, including two fights on Legacy Fighting Championship. The 30-year-old Cummins got some last-minute training in with another former comrade. 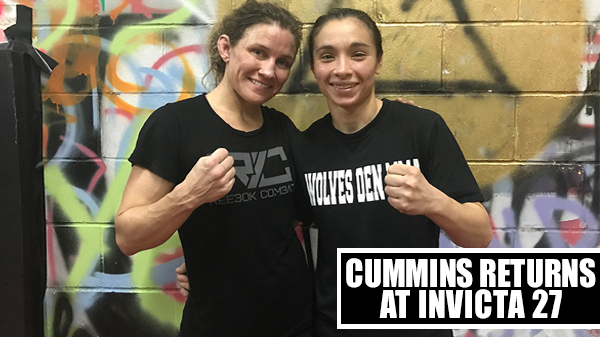 Barb Honchak, a recent finalist for The Ultimate Fighter 26, is back in St. Louis for a brief spell and she stopped into Wentzville's The Wolves Den to give Cummins a good look heading into fight week. "Barb contacted me a couple of weeks ago saying that she was going to be in town for January and that she would love to come in and get some rounds in," Cummins said. 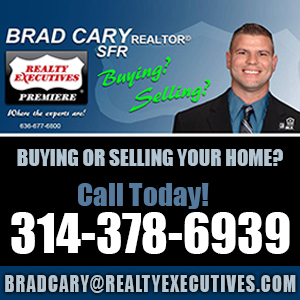 "Barb and I cross-trained with each other for years back in the day until she moved out of St. Louis. I jumped all over the opportunity. Barb is one of the best in the world pound-for-pound, and it was great having her out (Sunday) for my last hard day of training." Cummins made a move to 105-pounds in 2017 where she went 1-1. She currently ranked as high as six in the world in some polls, having picked up a regarded unanimous decision win over Amber Brown at last March's Invicta FC 22 event. She is coming off a decision loss to Jinh Yu Frey in July at Invicta 24. "Since my last fight I haven't taken any time off," Cummins said. "I've been working on my weaknesses. That fight showed holes in my game that needed correcting. They say you learn more from your losses than your wins and that's very true. I learned a lot from that fight, and I know I've only grown and gotten better since that loss." Cummins is particularly eager to showcase her improved boxing. She won her pro boxing debut in November by decision over Julie Metzner at Guns n Hoses, an event founded in 1987 that is a fundraising platform, consisting of boxing and MMA matches between area police officers and firefighters, and held to benefit The BackStoppers, an organization that provides financial assistance and support to the families of police officers, firefighters and volunteer firefighters, and publicly-funded paramedics and EMTs in our the St. Louis area who have lost their lives or suffered a catastrophic injury performing their duty. "That was a great experience for me," Cummins said. "For seven years I have been a police officer, and for seven years it's been my dream to fight for Guns n Hoses. That event holds close to me, and I was never able to because it was always amateur only. This year, when they said they were going to allow pro fights, I jumped all over it. I contacted the promoter immediately and said, you have to get me on this card. I'll box. I'll do MMA. I'll do whatever it takes. This is a dream come true for me to be able to honor all of the first responders that have fallen and try to give back." Cummins, a St. Louis County police officer, is injury free heading into her fourth bout in less than 12 months. "That's active for me, especially having a full-time career," she said. "I have taken advantage of trying to fight as much as possible. I've had no injuries, and I keep getting better and better under my gyms, the Wolves Den and Gracie Humaita, so I figured, why not. I'm not getting any younger I might as well keep fighting." Invicta FC 27 takes place at the historic Scottish Rite Temple in Kansas City and streams live and exclusively on UFC Fight Pass at 7PM. It will feature a bantamweight headliner between Iranian-Swedish fighter Pannie Kianzad (8-2) and Canada's Sarah Kaufman (18-4, 1 NC).